La Ranchera 106.1 Aguascalientes en Vivo . XHLTZ-FM is a radio station in Aguascalientes, Aguascalientes. 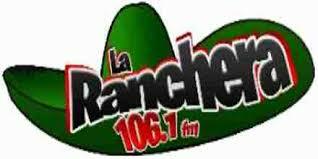 It broadcasts regional Mexican music on 106.1 FM as La Ranchera 106.1 . It formerly broadcast on AM as XELTZ-AM 740.